My teenage son Mark and I were thrilled to find these skunk cabbage (Symplocarpus foetidus) peaking through the ice and snow at Prairie Oaks Metro Parks west of Columbus. It’s a sure sign of spring when the purple-green spathes of these earliest of Midwestern wildflowers emerge in marshes and wet woodlands. 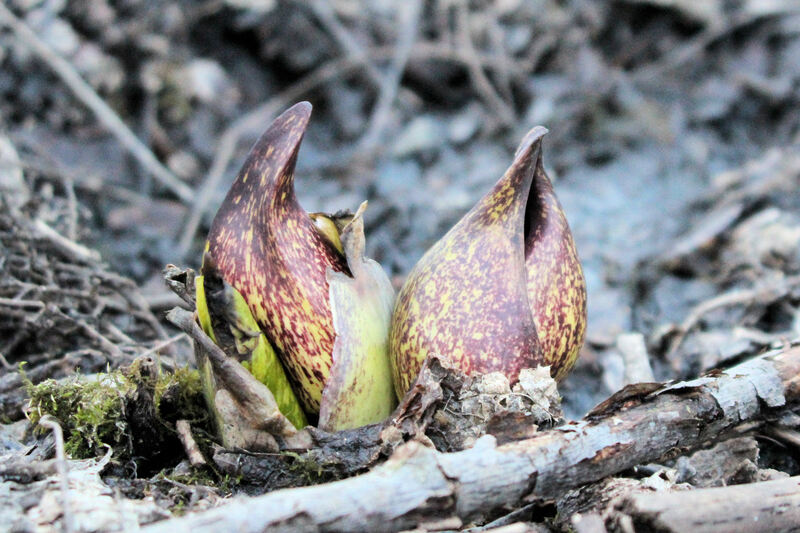 To learn more, check out this Outdoor Notebook item on skunk cabbage.